The Oar House is a Florida beach bar located in Pensacola. Discover this great Florida beach bar. 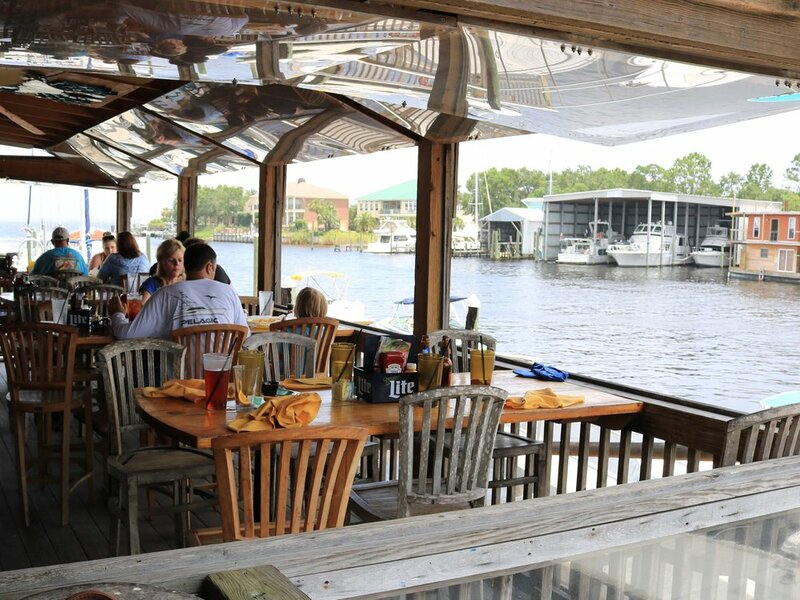 The Oar House is really close to downtown Pensacola and overlooks Bahia Mar Marina. This Florida beach bar has a little bit of everything. There's outdoor and inside seating areas, bean bag toss games, you can observe wildlife, and catch a beautiful sunset. One of our favorite parts about this place is all of the fun decor that's scattered throughout the bar. There's a lot of interesting things to look at and the weathered wood look of some of the areas gives this bar a lot of character. We had their award winning crab cakes but if you're not into seafood, try their chargrilled black angus beef. We had their Reef Wrecker and a Jezebel Cooler for drinks. Nothing get you more in the beach bar mood than a good tropical drink and they have a lot to choose from! They also have a good selection of beer and wine. Next time you're in downtown Pensacola, the Oar House is worth the short drive to enjoy this great Florida beach bar.